Diamonds may be forever - but new research suggests they are by no means rare. Scientists at MIT believe they have discovered more than a quadrillion tonnes of the 'precious' stone deep in the Earth's interior. Geologists detected the diamond by analysing sound waves travelling through the earth. Dr Ulrich Faul, a research scientist at MIT, said sound waves travel at different speeds through different types of rock, allowing researchers to build up a picture of what lies below. "Diamond in many ways is special," Dr Faul said. "One of its special properties is that the sound velocity in diamond is more than twice as fast as in the dominant mineral in upper mantle rocks, olivine." The study found that sound was moving much faster than expected within sections of sub-surface rock known as cratonic roots. Cratons are the oldest and most immovable sections of rock in the Earth. Their roots are shaped like inverted mountains, stretching down from the centre of tectonic plates to a depth of up to 320km. Based on the speed of the sound waves travelling through the pillars, the MIT scientists were able to estimate that up to 2% of the roots may be composed of diamond. 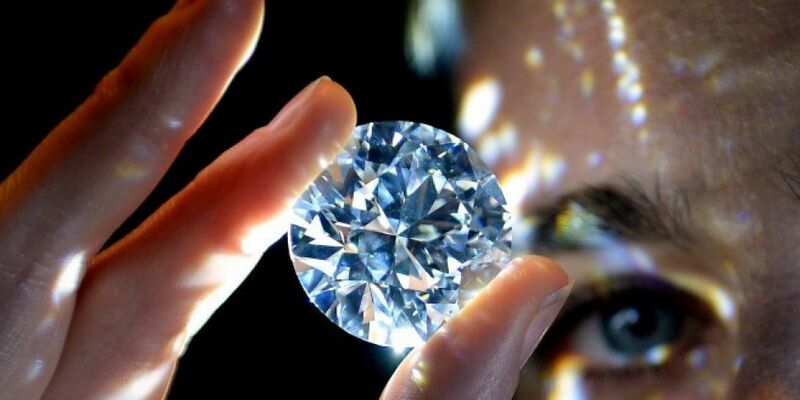 The study found that, if this estimate is correct, there could be about a quadrillion tonnes of diamond scattered up to 160km below the surface. Unfortunately for diamond hunters, the stones are far deeper than human drills have ever reached. The deepest drill in history was the Kola Superdeep Borehole in Russia - which took 20 years to reach a depth of 12km. The drill was abandoned with the collapse of the Soviet Union.